Associate Prof Dr Zuraidah Mohd Sanusi selected as recipient of the 2017 Erasmus Teaching Mobility Scholar with Burgas Free University, Bulgaria. 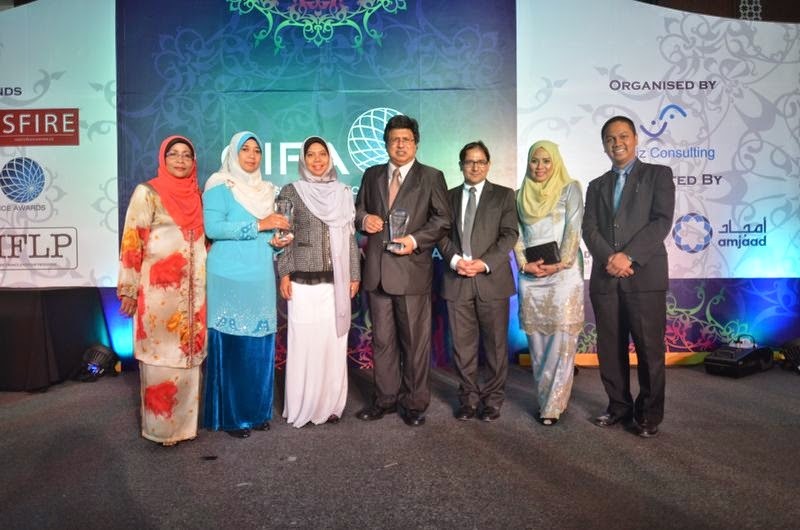 Dr Nor Balkish Zakaria received RM90,000 contract research from Malaysian Institute of Supply Chain (MISI). 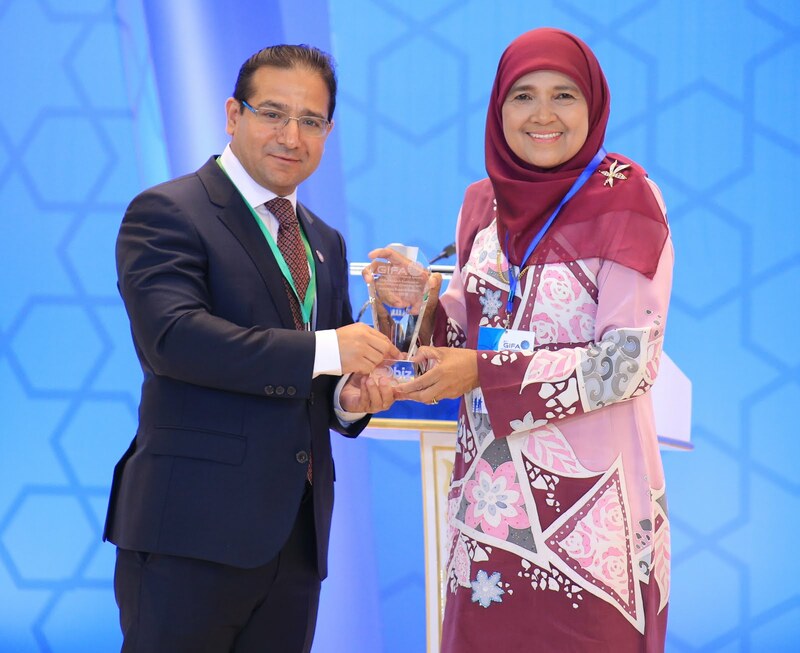 Dr Intan Salwani Mohammed received the i-Proclaim Annual Research Award 2017. under the category Outstanding Scientist Award (Google Scholar Citations). 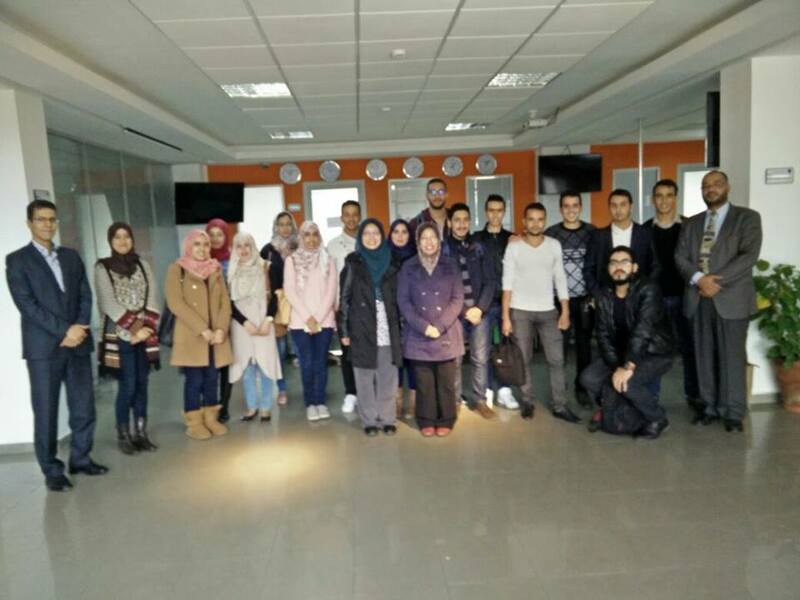 While in Dubai, our team took the opportunity to visit an international private university, American University of Sarjah (AUS). Founded in 1997 by His Highness Sheikh Dr. Sultan bin Muhammad Al Qasimi, Member of the Supreme Council of the United Arab Emirates and Ruler of Sharjah, the university was envisaged by His Highness as a leading educational institution in the Gulf region. The university offers 26 majors and 45 minors at the undergraduate level, and 13 master's degrees programs through four academic divisions, namely (1) College of Architecture, Art and Design, (2) College of Arts and Sciences, (3) College of Engineering and (4) School of Business Administration. 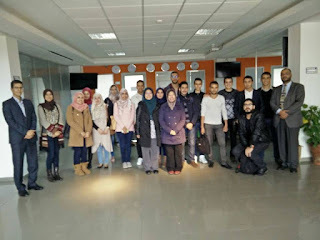 Consciously based upon American institutions of higher education, AUS is thoroughly grounded in Arab culture and is part of a larger process of the revitalization of intellectual life in the Middle East. 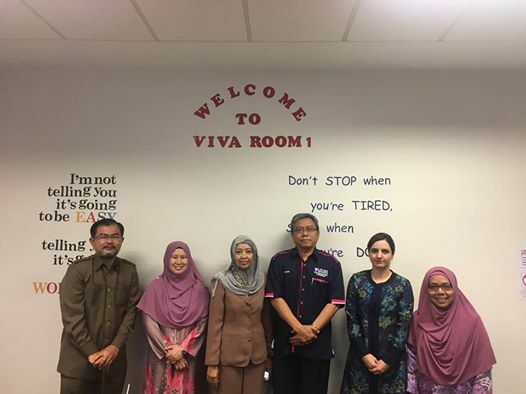 We met up with scholars and researchers from the school of business administration, including a fellow Malaysian, Associate Professor Dr Norita Ahmad who is now a full time faculty member of the university. We see a lot of potentials for the Accounting Research Institute to collaborate with scholars from the university - in terms of staff & student exchanges, research collaboration and and joint publications. To create a sustainable business environment, there must be a deliberate effort to conduct research that strengthen the governance aspect of the industry. 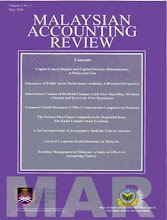 At the Accounting Research Institute, there are three main research projects within this second cluster. They are namely research in corporate governance, corporate integrity & ethics and enterprise risk management. For each of the project, ARI collaborates with specific partner from within the industry and government agencies, either at national and/or international levels. Research projects for this cluster are not confined to the Islamic Finance industry, it also includes other sectors - public, private and non-profit organisations. 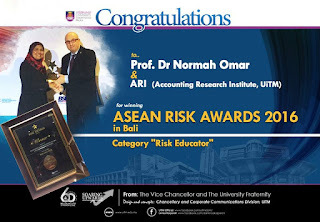 Among ARI's collaborative partners include Companies Commission of Malaysia (CCM), Registry of Society (ROS), Malaysian Institute of Integrity (IIM), Accountants General Office, Auditor General Office, Centre for Risk Management Studies (CRMS-Indonesia), Malaysian Institute of Corporate Governance (MICG), Amanah Ikhtiar Malaysia and Agensi Inovasi Malaysia. Many of our research output are used by the partners and stakeholders. One is often reminded to embark on research that produces "good impact". But what exactly is meant by "Research with Impact"?. According to the Economic and Social Research Council (ESRC) which is based in UK, Economic and societal impact is the demonstrable contribution that excellent social and economic research makes to society and the economy, and its benefits to individuals, organisations and/or nations. 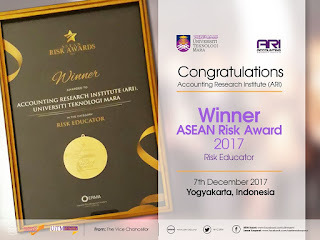 Bearing this in mind, the Accounting Research Institute (ARI) is deliberate in making a difference in its research contributions. 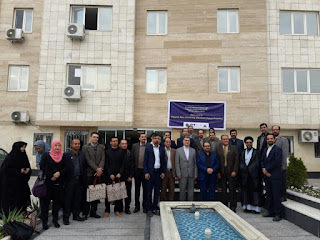 In addition to the basic needs to produce good quality academic papers, postgraduate scholars and innovation in the niche research Islamic Financial Criminology, ARI collaborate with its respective stakeholders to create both social and economic impacts. For its 2015-2017 grants cycle, the first research cluster relates to Governance & Shariah Compliance. There are four main projects under this cluster: (i) Corporate Waqaf, (ii) Islamic Microfinance and Social Enterprise, (iii) Shariah Audit, and (iv) Islamic Economics. 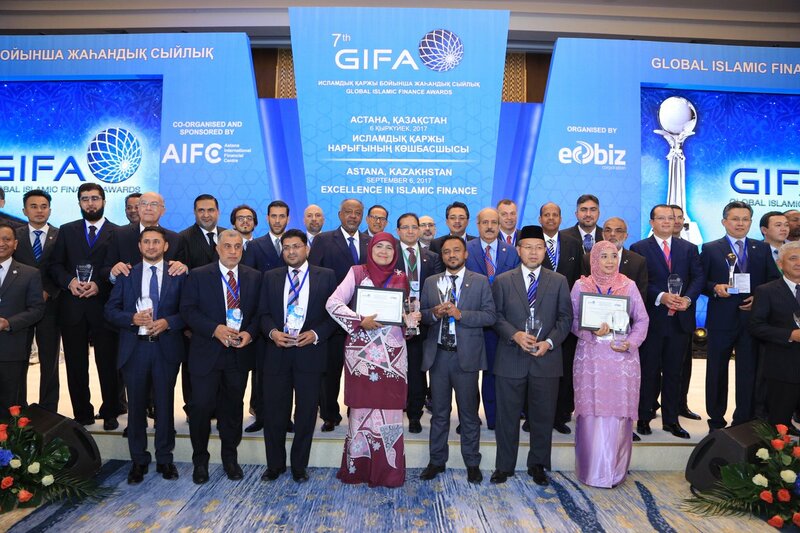 Basically, researchers examine existing products and explore innovative ideas that can sustain and propel the Islamic Finance sector to greater height. One of the research projects that have shown positive impacts to the community is our Islamic Microfinance & Social Enterprise. We explored existing business model and saw a gap that could retard the sustainability of this business. Traditionally, the business model will involve only two main players: the entrepreneurs themselves and the micro-credit financiers (financial institutions, microfinance agencies, non-profit organisations). The responsibility to ensure business progress and sustainability lies with the entrepreneurs. More often than not, they lack exposure, business skills and linkage to the full supply chain, hence resulting in business failure. As a result of that, micro-credit entrepreneurs have problems with loan repayment and other multiplier effects. The Accounting Research Institute (ARI) introduces a more sustainable microfinance model by introducing three additional important elements. First is the need to get a supplier(s) that can supply raw materials in bulk at relatively low price. Second, ARI researchers provide training programs - financial management, ethics, integrity, business plan, governance and marketing. Third, is to find a buyer or group of buyers who can buy the finished products. By having this complete supply chain mechanisms for the microfinance business model, the entrepreneurs only need to focus on producing high quality products. Since this is a business arrangement, there will be contractual agreements that must be observed by all parties in the supply chain framework. 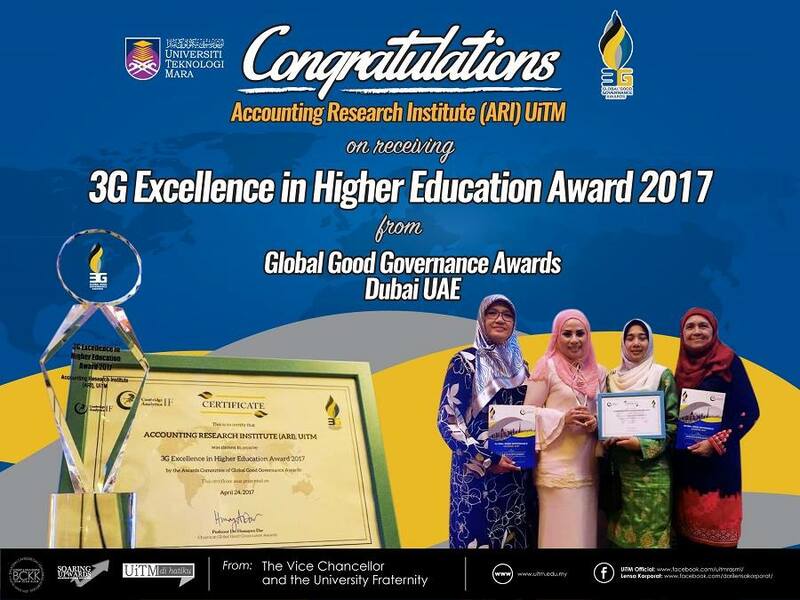 When the Accounting Research Institute was accorded the higher institutions' centre of excellence (HICoE) status in 2010 by the Ministry of Higher Education Ministry Malaysia, it was entrusted to drive a niche research area in Islamic Financial Criminology (IFC). Fundamentally, IFC comprises three basic research areas: (i) research related to developing new or innovating existing Islamic Finance Products; (ii) research to strengthen the governance and integrity of the Islamic finance sector and (iii) research to mitigate financial leakages in organisations, including the Islamic Finance sector. 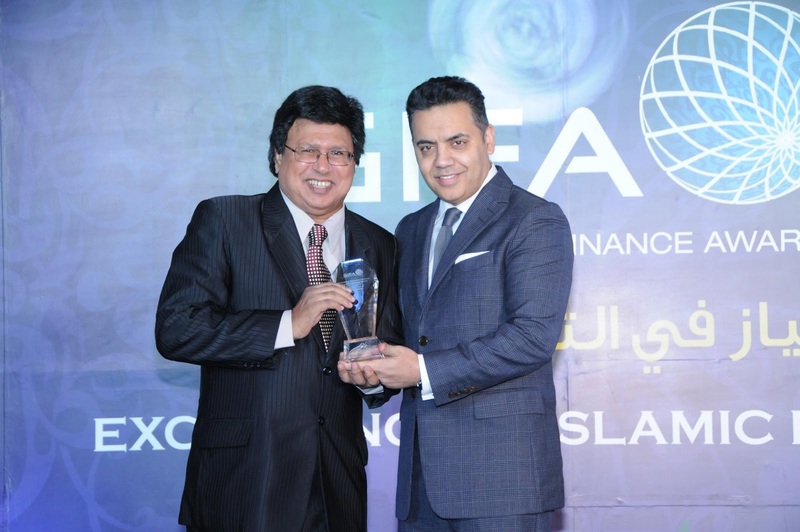 The main aim of the IFC research agenda is to establish a sustainable Islamic Finance sector for Malaysia and possibly globally. 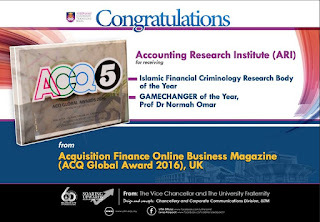 In driving the new knowledge corpus in Islamic Financial Criminology, ARI divides its research program into four main clusters: (1) Governance & Shariah Compliance; (2) Corporate Integrity System & Ethics; (3) Anti-Money Laundering & Mitigation; and (4) Methodologies in Financial Fraud Detection & Investigation. In 2017, we will include another research project - Decision Support System- to integrate all these clusters. The Accounting Research Institute (ARI) congratulates two of its associates who recently achieved significant milestones in their career. Firstly, congratulations to Dr Farah Aida Ahmad Nazri who completed her PhD in Islamic Finance from the Faculty of Accountancy, Universiti Teknologi MARA. 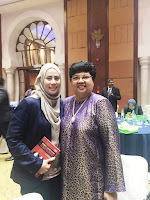 Dr Farah untertook her PhD program under the university's Young Researcher Scheme (YRS) and will be attached with ARI as a researcher and lecturer. 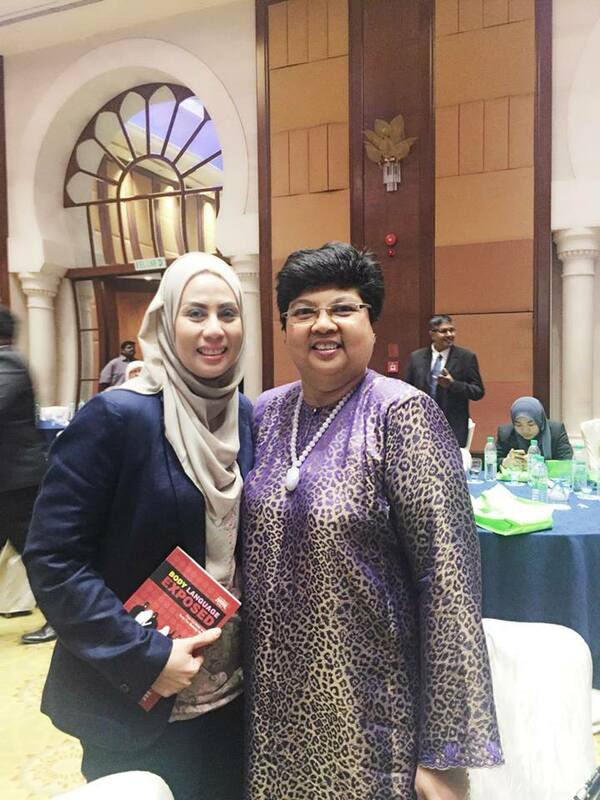 Recently Dr Farah Aida also sat and successfully completed her professional examination in Enterprise Risk Management with the global body, Enterprise Risk Management Academy and received the ERMCP professional designation. Secondly, congratulations to Dr Md Nizam Ali, Senior Director and Chief Coordinator of Centre for Knowledge and Consultancy on Integrity at the Malaysian Institute of Integrity (IIM), who successfully completed his PhD program at Universiti Teknologi Malaysia. Securities Commission office to discuss the fundamentals of corporate integrity; several round-table discussions at IIM, presentation of the preliminary instrument to the Federation of Public Listed Companies and meetings with corporate CEOs at Bursa Malaysia, pilot testing the instrument and actual evaluation of corporate integrity at various organisations such as Celcom, TNB, KPJ, MARA, UDA and many others. Today, the instrument has been used widely by corporations in Malaysia. Time waits for no one. As we are finishing the year 2016, we are also celebrating the coming of 2017. For ARIANS, 2017's main agenda is "Globalising ARI HICoE and Advocating Research & Development in Islamic Finance and Financial Criminology". 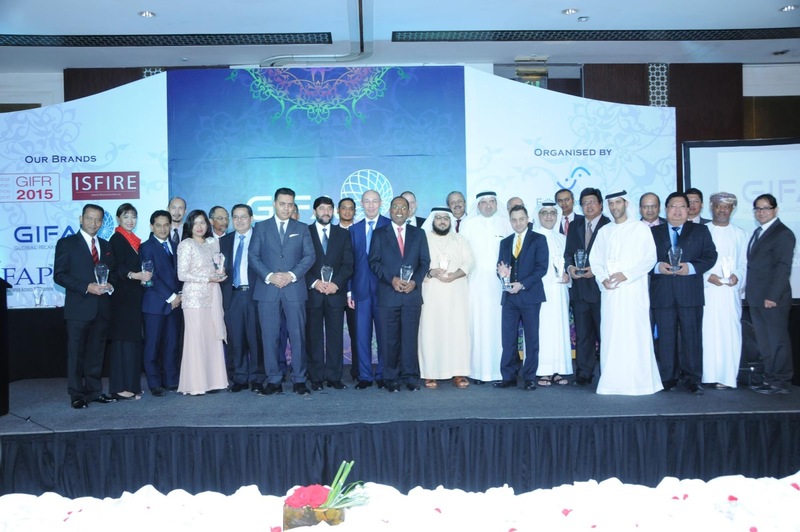 Strategic actions outlined for 2017 globalisation agenda includes: (i) Sourcing for international research grants through smart partnerships and research collaborations with agencies in OIC countries and European Erasmus program; (ii) Professional certification of ARI fellows in the strategic areas of Enterprise Risk Management from ERMA, Islamic Finance from IBFIM & IRTI, Financial Criminology from ACFE and Anti Money-Laundering specialisation from ACAMS. Professional certifications will enable ARIANS to become specialists in Islamic Finance and Financial Criminology. and UiTM to greater heights. The ASEAN Economic Community (AEC) will come into full force in 2017. 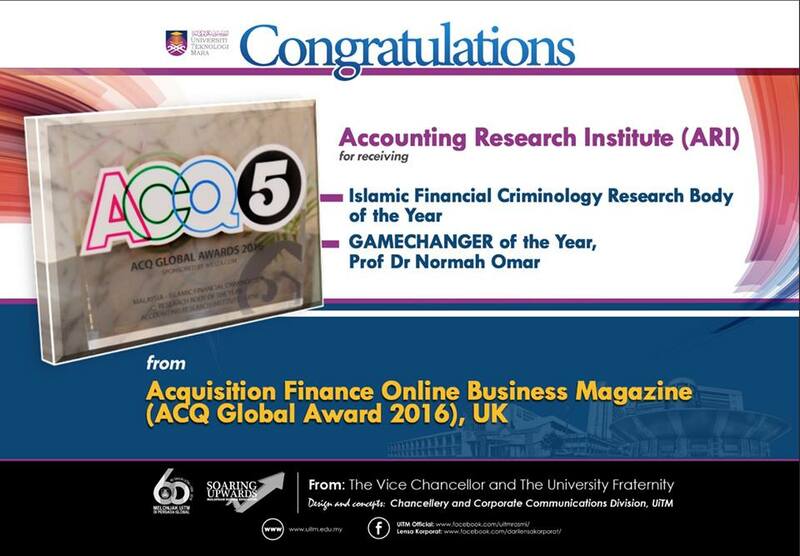 The Accounting Research Institute will take advantage of this governmental initiative to promote Islamic Financial Criminology as a new knowledge corpus to be reckoned with. The year 2016 has been a great year for the Accounting Research Institute (ARI). In tandem with ARI's aspiration to become global Higher Institutions' Centre of Excellence (HICoE) by 2018, a lot of efforts have been put into place by all ARIANs. Thanks to all members - Research Fellows, Research Associates and Research Partners. 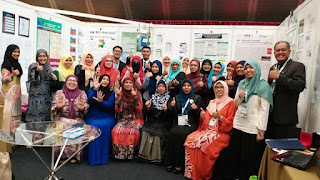 Associate Prof Dr Jamaliah as ARI deputy director for research and networking was busy promoting ARI globally through networking collaborations with various agencies - Centre of Risk Management Academy (Indonesia); Institute of Public Enterprise (India); University of Bolton (UK); The Islamic Research and Training Institute & King Abdul Aziz University (Saudi Arabia) and Universitas Indonesia. She also makes sure that all research projects are progressing as scheduled and are producing the promised research output and outcomes. Dr Nawal and Associate Professor Dr Abdul Halim are research leaders for ARI's research in Islamic Finance. 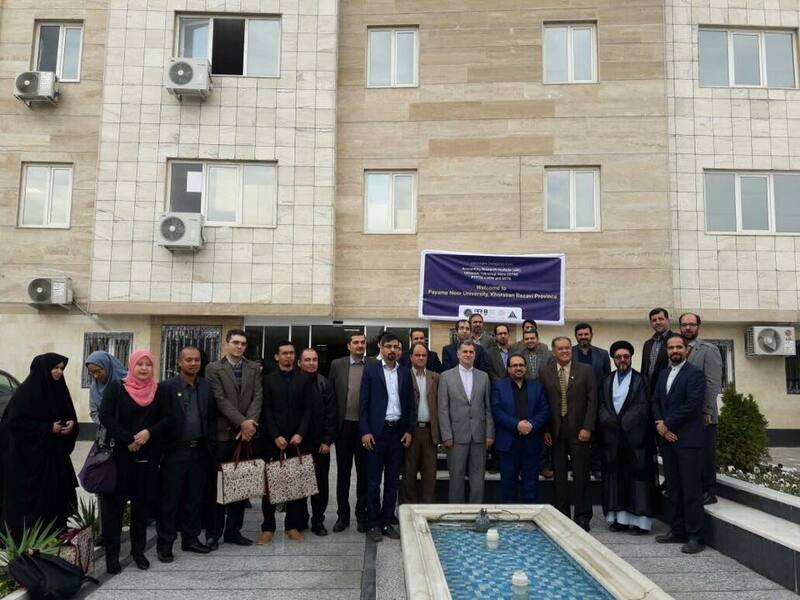 They have embarked international research collaborations with Islamic Finance Scholars in the Philippines, Indonesia, Morocco, Iran, Saudi Arabia and Tunisia. Formal collaborations will be forged through Memorandum of Understanding and Memorandum of Agreement. Dr Balkish, Dr Azmi and Dr Farah Aida will soon be our experts in Enterprise Risk Management as they are undertaking professional certifications with the global's Enterprise Risk Management Academy (ERMA). 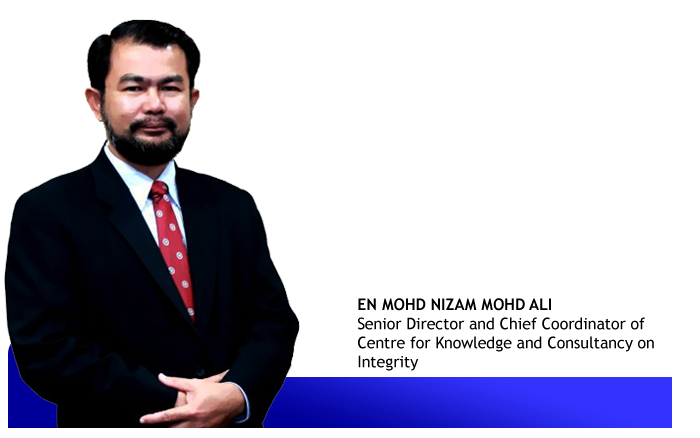 Dr Norazida is now on a 15-month sabbatical attachment with the Inland Revenue Board Malaysia (IRBM). She will further strengthen our professional collaboration with that agency. Dr Yang Chik, our law expert has been involved with many law-related initiatives including getting involved with the exposure drafts of the upcoming Companies Act amendments and other corporate governance-related proposals. ARI welcomes our newly appointed research fellows - Associate Professor Dr Ayub Md Som (Chemical engineering), Professor Dato'Mustaffa Md Zain and Associate Professor Dr Erlane who will be tasked with spearheading the transdiciplinary aspects of ARI research projects. Whilst Dr Ayub's specialisation is in Decision Support System, Prof Mustafa is a leading researcher in Corporate Social Responsibility. Dr Erlane is an expert in the "Internet of Things". Our post-doctoral scholars Dr Shamimul Hassan and Dr Soheil Kaziman have been ARI's great assets in 2016 and beyond. They have published in many indexed journals with ARI fellows as co-authors. They have also initiated potential research and publication collaborations in Bangladesh and Iran respectively. 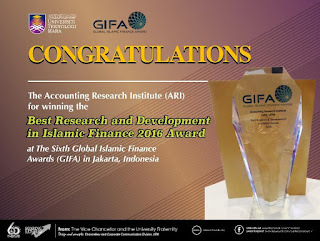 As a result of these hardworks and smart collaborations, ARI has received many research recognitions and accolades in 2016: Six gold awards from ITEX 2016; Global Islamic Finance Awards for "Best Research & Development in Islamic Finance 2016"; ACQ's "Islamic Financial Criminology Research Body of the Year for Second Consecutive Year 2016"; Gamechanger Online Magazine UK award for "Gamechanger Award 2016" and "ASEAN Risk Awards 2016" from the Enterprise Risk Management Academy (ERMA). Almost all ARIANS have achieved the stipulated KPIs for 2016. Congratulations and great job everyone. 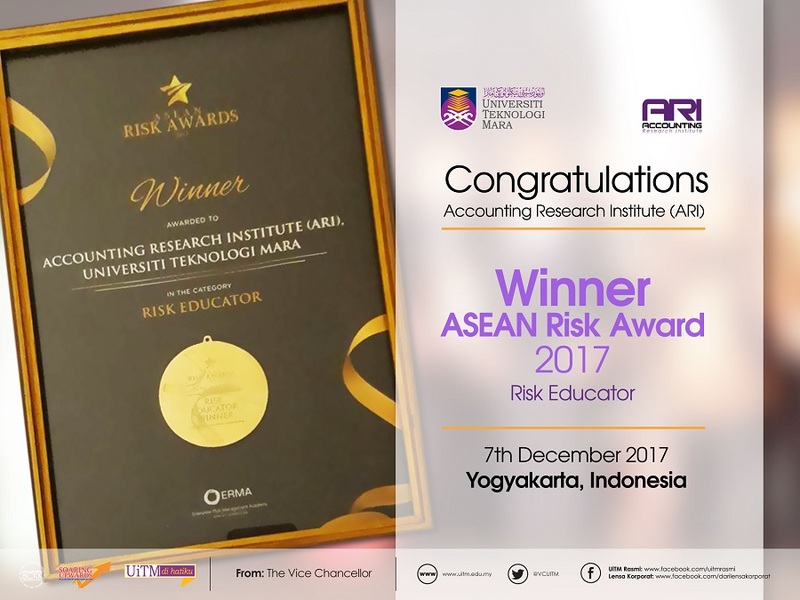 Congratulations Accounting Research Institute (ARI) for being accorded the ASEAN Risk Awards 2016 under the category "Risk Educator" during a recent event held at the Sofitel Hotel in Bali Indonesia, in conjunction with the BALIERM 2016 international conference. 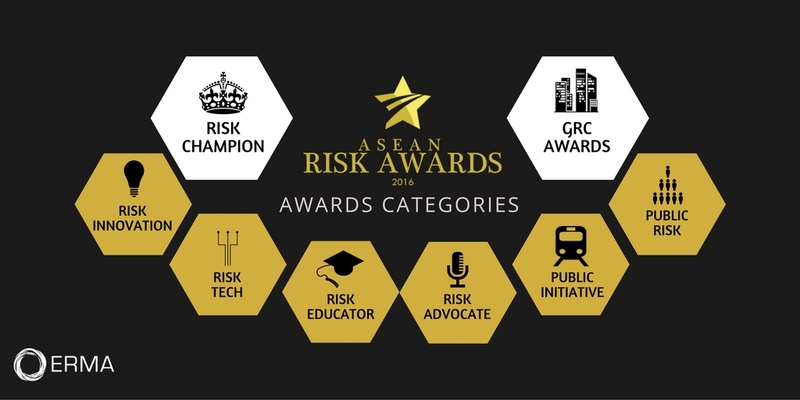 The ASEAN Risk Awards is open to all organizations with a formal and legal presence in South East Asia. There is no limit to the number of nomination entries or the number of categories you may submit and enter. The organizer assumes that all entries are original and have been granted an official permission from the nominated organization. In the event that a nomination is entered without such rights, the entrant will not be eligible for the awards evaluation. 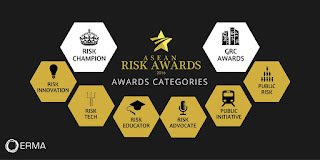 The ASEAN Risk Awards is not liable for any copyright infringement on the part of the entrant. The work and credentials that are submitted to the Awards must have been in place for at least part of the 2016 calendar year. 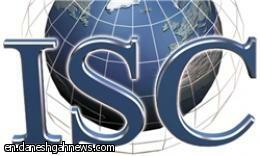 The nomination form and the supporting information will be the sole basis for the nomination. Nomination entries are only accepted through the available online nomination form. All nominations received through any other form will not be considered.